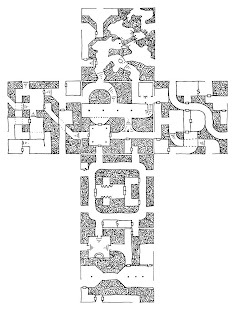 So, here's an idea that came from me messing about with Dyson Logos' dungeon Geomorphs, and the nifty random dungeon generator made from them. 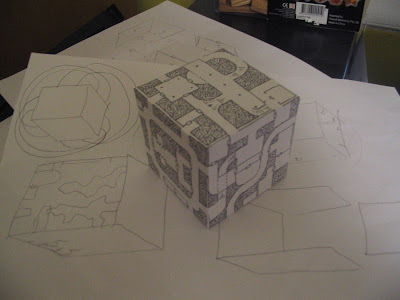 Of course, to any hapless adventurers transported inside it (whether by a goblin doorway, or an angered sorcerer, or something else entirely) it does not at first appear to be a cube. 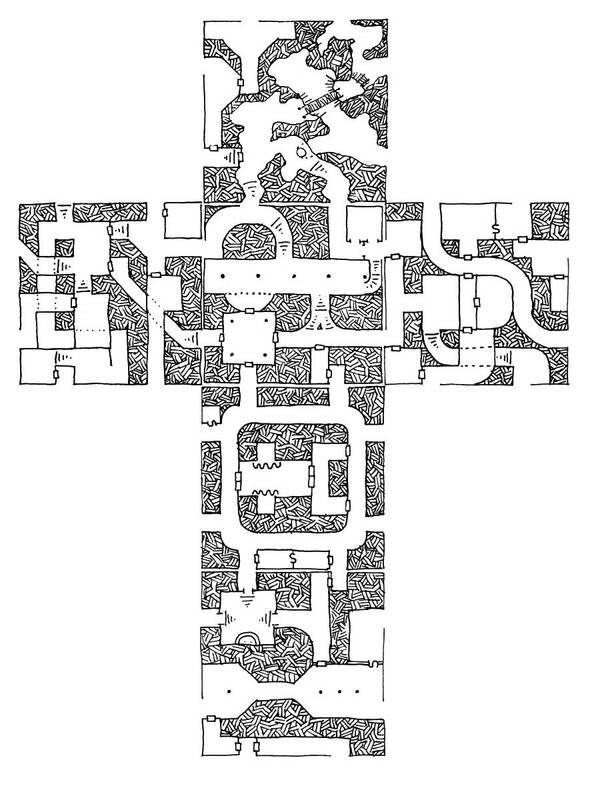 From inside, it's a normal dungeon, until you discover that walking in one direction long enough will bring you back to your starting point, as will taking three right (or left) turns in the right location. The party mapper will be tearing his hair out. Above is the 6 geomorphs I pasted together. I took the liberty of tweaking the left "arm" design slightly so as to avoid having dead ends. Also note that while there are several secret doors in the complex, there is only one truly secret room. Perhaps that holds the key to escaping? This is amazing stuff!! Have you tried a dodecahedron yet? I suppose you could try other shapes, but the geomorphs I used only come in square, and the more sides it has, the closer to a sphere it becomes, thuse taking away some of the crazy non-euclidean geometry effect.